This paper shares the findings of a study conducted on a virtual inter-cultural global leadership development learning project. Mixed Methods analysis techniques were used to examine the interviews of U.S. and Uganda youth project participants. 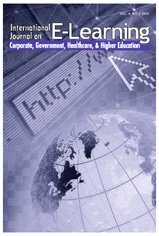 The study, based on cultural and social constructivist learning theories, investigated the effects of implementing the Global Intercultural Online Collaborative Learning (GIOCL) Model to guide educators in designing effective global intercultural online collaborative learning environments and experiences. Eighteen Ugandan and nineteen United States students participated in online discussions and presentations involving cultural and instructional topics. A mixed-method design involving the collection and analysis of both qualitative and quantitative data was used to assess students’ global leadership aspirations and desires to expand knowledge of cultures quite distinct from their own country. Findings indicate that early introduction of global collaborative learning environments inspire desire of youth to develop early leadership competencies requiring them to transcend national boundaries. Ivy, K.L.D. (2017). Developing Global Leaders: Building Effective Global-Intercultural Collaborative Online Learning Environments. International Journal on E-Learning, 16 (1), 33-46. Waynesville, NC USA: Association for the Advancement of Computing in Education (AACE). Retrieved April 25, 2019 from https://www.learntechlib.org/primary/p/148713/. Bruner, J. (1996). The Culture of Education, Cambridge, MA: Harvard University Press. Chen, S., Caropreso, E., Hsu, C., & Yang, J. (2012). If you build it, will they come? Global Partners in Education Journal, 2 (1), 25-41. Garrison, D.R., Anderson, T., & Archer, W. (2000). Critical inquiry in a text-based environment: Computer conferencing in higher education model. The Internet and Higher Education, 2(2-3), 87-105. Johnson, D., & Johnson, R. (1999). Making cooperative learning work. Theory into Practice, 38(2), 67–73. Jonassen, D.H., Howland, J.L., Moore, J.L., & Maura, R.M. (2003). Learning to solve problems with technology. Upper Saddle River, NJ: Merrill Prentice Hall. O’Dowd, R., & Ritter, M. (2006). Understanding and working with’failed communication’in telecollaborative exchanges. CALICO Journal, 23(3), 623–642. Retrieved from http://journals.sfu.ca/CALICO/index.php/calico/article/view/737 Pless, N., Maak, T., & Stahl, K. (2011). Developing responsible global leaders through international service-learning programs: The Ulysses experience. Academy of Management Learning& Education, 10, 237-260. 2 Diagrams, 5 Charts. DOI:10.5465/AMLE.2011.62798932.,Database:BusinessSource Elite. Solomon, C. & Schell, M. (2010). Managing across cultures: The seven keys to doing business with a global mindset. New York City, NY: McGraw-Hill.